I watched the Lance Armstrong interview online today. I did not watch it last night as we were out with friends. I found the interview to be fascinating and at the same time chilling. Oprah Winfrey did it well and in the process laid Lance Armstrong and his lies bare. Cheating blood doping, the use of EPO and Testosterone were commonplace in competitive cycling. The were the norm, not the exception. At the same time they were also illegal and banned in the sport. 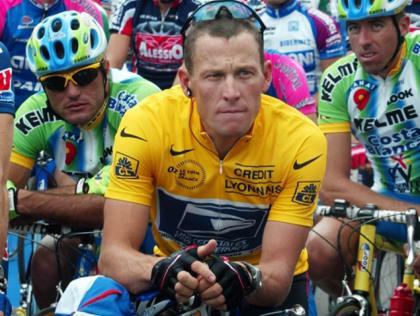 Lance Armstrong was part of that world, even before his battle with cancer. The chilling part for me was that I didn’t sense any remorse from Armstrong. He acknowledged the use of Testosterone, EPO and blood transfusions but his reasoning for them then, and his apology or confession now felt to me like I was watching someone with no remorse and someone who felt that since everyone else was doing it that there was really nothing wrong with doing it. Armstrong’s cheating was the norm for his era, but his subsequent campaign to intimidate and destroy those that would tell the truth took his actions in cheating to a different level than his competitors. Oprah: Did you feel in any way that you were cheating? You did not feel you were cheating taking banned drugs? Armstrong’s answer to this and to how he used lawsuits and threats to attack those that told the truth were chilling. I wondered what someone like Armstrong would do in life and death situations or to advance himself where the stakes were more than simply an athletic career and I could not fathom that level of banality, that level of selling ones soul for that type of personal gain and the destruction of the lives and reputations of others. To simply refer to this as a flaw to me is to minimize the issue. I really don’t think that Armstrong gets how deep this is. I know that all of us have feet of clay and that Armstrong is not the first athlete to cheat to win or to attempt to cover up his cheating. However his cover ups, denials and attacks on those that attempted to tell the truth went beyond the norm for a sports cheater. He went out of his way to destroy others to protect his legacy. Had he not suffered the loss of his Tour de France titles, the loss of control of his Livestrong Foundation and been banned for life from the sport I doubt that he would have ever even come this close to coming clean. The years of cheating, the years of cover up and the years of destroying those in his way have probably changed Armstrong. He admitted that he cheated before his fight with cancer but he noted that he didn’t become “ruthless” in that until after it. He did it for the myth, the myth that his cheating helped him create and he rationalized it in the same way that others have rationalized evil before him. Robert J Lifton wrote of the Nazi Doctors “In doing so – or in order to do so – the men themselves changed; and in carrying out their actions, they themselves were no longer banal.” Armstrong took cheating to a higher level and in doing so victimized others. I know that Armstrong’s story and foundation have doing many good things. The fact is that the evil committed by Nazi doctors also benefitted science, but it was still evil. The cheating was the least of the issues here. His sport was corrupt to the core. Cheating was the norm. The greater issue his what Armstrong did for years to maintain the lie at the expense of others. His was not a victimless crime, and call it what it was, it is a crime to threaten, intimidate and use the courts to attack and punish those simply trying to tell the truth. As it is there are people familiar with the case that believe that his statements to Oprah about not having cheated after 2005 are also a lie. Unfortunately, given his history of deceit and manipulation of the narrative I tend to believe them. 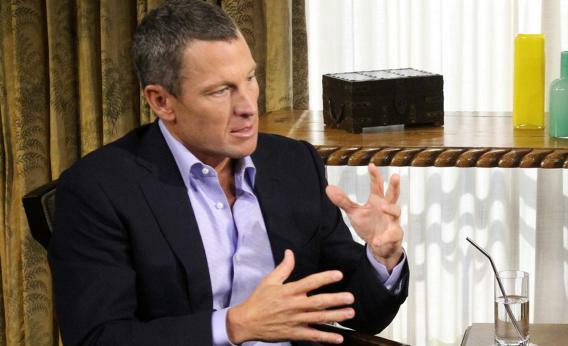 It appears that Lance Armstrong has confessed to cheating to win his historic 7 Tour de France cycling championships. Using a sophisticated means of blood doping he sometimes with the cooperation of his teams he, like the majority of the high level competition cyclists of his era used an illegal but often hard to detect means to bolster his ability to win. Armstrong, like so many at the top level of his sport appears to have been a habitual cheater, liar and bully. The fact that he was a cancer survivor and had returned to the top of his sport made him a legend and gave him an almost mythic aura. Who could criticize such a heroic individual? Certainly his struggle to defeat cancer and return to the top of his sport was worth something and indeed it was. Armstrong became a legend and established a foundation that did and still is doing wonderful things for cancer victims. If it was simply cheating and then getting caught the situation would be different. Armstrong was not different than many of his competitors and if it was like the cases of people in other sports who cheated and later either were caught or admitted their misdeeds it would be just another case of a sports cheater. However in the Armstrong case the story is one that is not so simple. His also involves an aggressive cover up and willful destruction of the reputations of anyone who dared challenge him or accuse him of cheating. It involved attacks on the character of critics as well as threats made against them, even veiled physical threats. It involved legal actions to attempt to prevent the publication of articles or books that could damage him in multiple countries. It involved a campaign of lies that lasted over a decade. It also ensnared cancer victims as his charity foundation Livestrong was devoted to helping those battling the dread disease. It is a case that will not simply interest sport writers, but one which will engage philosophers, ethicists and theologians for years to come. The reason is that it is so multifaceted and brings to the fore questions that most people care not to even think about, even though they fascinate us. The questions are hard. Who would want to think that the cancer victims helped by Livestrong were not positive beneficiaries of Armstrong’s benevolence? It is certain that Armstrong’s foundation has done remarkable work. At the same time can Armstrong’s actions be justified simply because many people were benefited by them? What about the his victims? Those men and women who suffered professional, legal and financial reverses as well as had their reputations damaged for attempting to stand up to someone that looks by the actions committed against his critics and accusers to be a bully. It is the classic question of whether the needs of the many outweigh the needs of the few combined with the actions of one person to advance himself at the expense of others. Some would like to be able to fame Armstrong’s cheating and subsequent support of Livestrong and its tremendous work in helping people in a positive manner. I think that most of us, me included were enamored with the myth of Armstrong the cancer survivor rising to unheard of heights in his sport. I think that this was especially the case in the United States where the thought of an American winning at the top levels of a sport that has few American long dominated by Europeans was particularly pleasurable, especially since most Americans couldn’t care less about competitive cycling. However, Armstrong got us to care about it, even if it was only when we saw Tour de France highlights on ESPN Sports Center. Caught up in the myth we surrendered to it. It was attractive and it appeals to the underdog in all of us. However, it was a myth and the creation and sustainment of the myth created victims just as it helped others in need of live saving treatment as well as cancer research. As for Armstrong, his confession and apology that will be aired on Oprah Winfrey’s show the next two nights I am of mixed feelings. Some like Mike Lupica have stated that it is another attempt of Armstrong to control the situation and the narrative. He could well be right and there is part of me, the cynical and realistic part that believes this. At the same time I would hope that Armstrong has had a real epiphany as to the consequences of his actions in the lives of the people who were his fans, his beneficiaries as well as his victims. As for the very harsh remarks of Pat McQuaid the President of the International Cycling Union that “Lance Armstrong has no place in cycling and he deserves to be forgotten in cycling….” I have a negative opinion. He and his championships, though tainted and no stripped from him are a part of the history of cycling. He helped popularize the sport in the United States. He and his tainted accomplishments cannot be erased as if he did not exist. No cycling bodies took any substantive actions against Armstrong during his competitive career. No sport was as inundated by a culture of cheating as professional cycling. Armstrong cannot be forgotten as McQuaid says he deserves to be. It is okay to say “never again” and work to build an authentic and honest competitive sport. But to erase and forget is to ensure that another Armstrong will come along. It is a cautionary tale. As long as Armstrong brought attention and income to the sport his actions were tolerated and despite numerous accusations he was celebrated and because of his story as a cancer survivor many looked the other way. I have to say that I am part of that latter group that saw a cancer survivor winning as inspirational. I did not want to believe the accusations and I did not look to see or even pay attention to the things that he and his associates were doing to those attempting to bring the story to the light of public scrutiny. As for Livestrong I do hope that it will survive and continue to help cancer victims. As for Armstrong I hope that his confession and admission of wrong doing are genuine and that he will make restitution to those that he bullied or ruined in maintaining the cover up. I am less concerned about his competitors in the Tour de France as so many of them were doping that it makes the steroids scandals in other sports pale in comparison. I encountered Armstrong once in Iraq when he was on a tour with a number of celebrities. I had come back to my base of operations the day that he and his tour led by the now retired Chairman of the Joint Chief’s of Staff Admiral Mike Mullen came through. Since the number of people who could attend the show was limited and I wanted to make sure that junior personnel had a chance to see Armstrong, Robin Williams, Kid Rock and Lewis Black I did not attempt to go. The next morning I was walking to the dinning facility and passed Armstrong as he was walking back to is quarters. I said “good morning” and he returned the greeting and we both continued on our way. I figured that he didn’t need another person coming up to him to get an autograph and though he was a public figure on a USO morale tour I still attempt to honor some modicum of privacy. The tour left later that morning and my friend, Father Jose Bautista-Rojas a Catholic Chaplain who had escorted Mrs Mullen during the visit brought me a ball cap signed by both Armstrong and Robin Williams. I will keep it and remember the fact that Armstrong and those with him came to Iraq at the height of an unpopular war, but also to remind me that all of us have feet of clay. I do hope that he is able to make his peace and reconcile with those that he has hurt or disappointed and that some good will come out of this for him, his family, those that benefit from Livestrong and the sport.